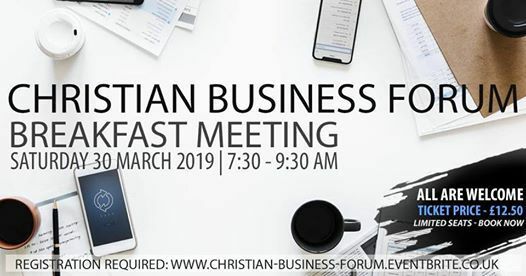 At Christian Business Forum, we are looking to Inspire, Empower & Equip individuals to step in to make an impact through influencing change within the community they serve, the people they touch, the industry they are involved in while bringing transformation to the land they live in. Are you working full time and looking to go to the next level? Are you the CEO of a Company/Companies? Learn from pioneers and forerunners in the marketplace and get one to one mentoring and support. Develop your entrepreneurial skills and build relationships. Receive Prayer and Prophetic Ministry! From this month onwards we are opening the forum to both men and women. 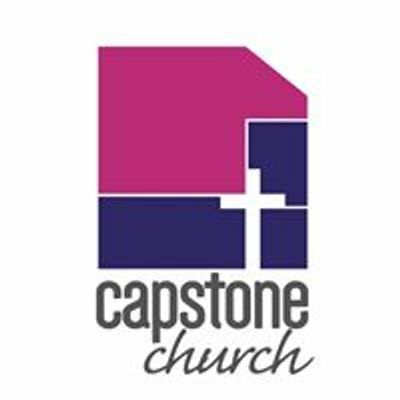 Join us on the last Saturday of every month. 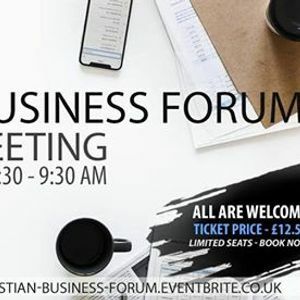 This month on Saturday, 23rd February 2019 at Holiday Inn Brentwood M25, Jct.28, Brook St, Brentwood CM14 5NF from 7:30 - 9:30 AM.